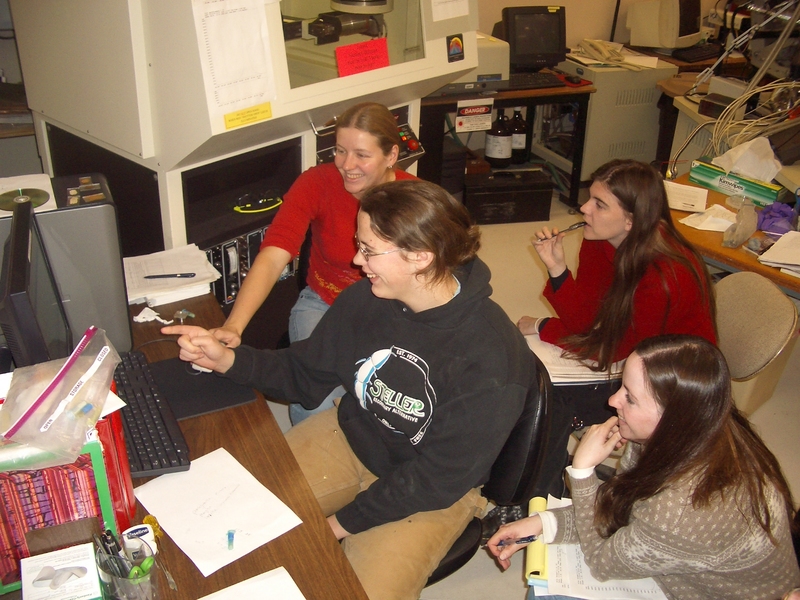 Students on the XRD in the Image and Chemical Analysis Laboratory at Montana State University. Originally uploaded in Integrating Research and Education. Image courtesy of Dave Mogk.